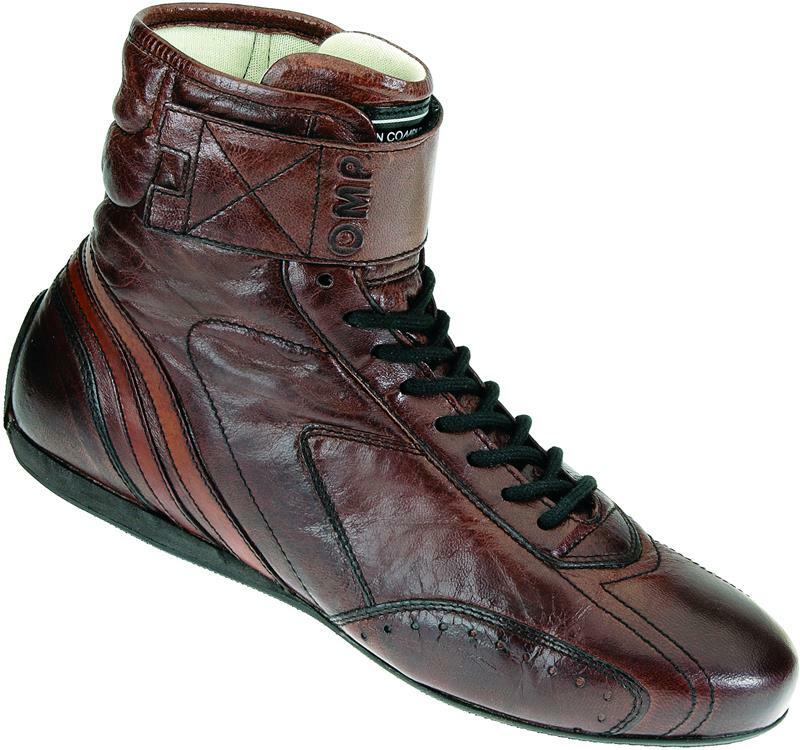 OMP America Vintage Racing Shoes - Carrera UNIVERSAL - Dezod Motorsports Inc - Home of the automotive performance enthusiast since 2002. High quality treated leather for an ultra-soft feel. Double closure with laces and strap for better fit. High sensitivity printed rubber sole, resistant to hydrocarbons.